Following up on our Art Scam article from a few weeks ago, we have been notified of more "individuals" who are trying to scam our ArtSites artists. The names being used include "Peter Towery" and "Helen Carzola". If you have been approached by either of these "individuals", please do NOT respond or engage with them! They are not legitimate. 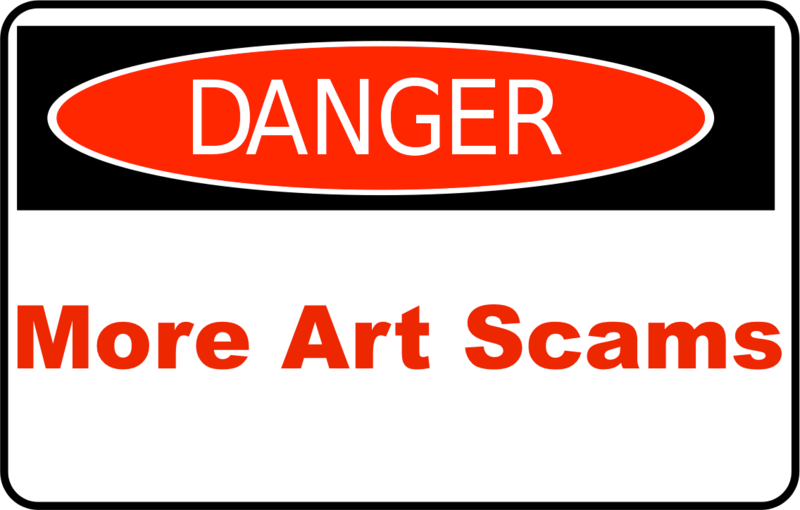 ArtSites artist, Jennifer Weber, also shared a very good Facebook Page that is trying to Stop these "Art Scams" by listing names and emails, as well as getting artists to submit any "suspicious inquiries". I would strongly recommend you take a look at this "Stop Art Scams" page whenever you get an unsolicited inquiry, if you have any sense it might be a scam! We'll continue to do our best to keep you posted on any further developments and many, many thanks to all our ArtSites artists who have kindly been letting us know!